Mr. Gordon Draskovic P.Eng. has been the Director of Engineering at Fort Garry Fire Trucks in Winnipeg for the past 12 years. The main focus of Fort Garry Fire Trucks engineering is structural design and vehicle integration. Before that, Mr. Draskovic worked for Navistar Corporation in the USA and New Flyer Industries in Winnipeg in the R&D group. Mr. Draskovic has spent much of his professional career focusing on diesel engines and vehicle systems design and integration. Mr. Draskovic also shares a USA patent for a wheelchair ramp design. Fort Garry Fire Trucks (FGFT) builds fire trucks, custom-built pumpers, aerial ladders, water delivery tankers and related fire-fighting equipment. Customers are mainly cities, towns, and municipalities throughout Canada the US and abroad. The entire engineering department of FGFT is devoted to the design and production of equipment for the most extreme conditions in the world, in addition to offering Rubber Manufacturing and Parts and Servicing. FGFT is on the leading edge of manufacturing, in both technique and design. Their extreme body design has lead them to become the largest builder of fire apparatus in Canada. Ben Foster is the Product Manager for the windrower product line at MacDon Industries. Having spent time in the Field Testing Department and leading a test group for the windrower products, Ben has extensive knowledge of MacDon windrowers. His expertise was used to develop the first Tier 4 Final emissions controlled windrower package for MacDon and now continues product development with the Tier 4 emissions regulations. Going forward with the current emissions regulations presents design challenges; however, there are added difficulties when adapting a diesel engine after treatment package to an existing product line. In Ben’s presentation he will discuss MacDon Industries background and history, MacDon’s current products, and the newly released MacDon M155E4. Parking is available all over the MacDon campus. All parking is free and easily available after 4:30 PM. Recommended parking is at 590 Moray Street and 600 Moray Street which are closest to the presentation and can be seen on the map on the next page. Registration is required in advance, before Monday, May 18 and limited to the first 50 registered attendees due to facility capacity. 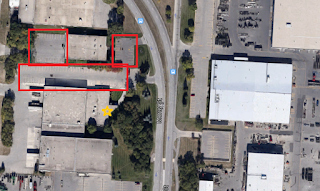 The three red boxes seen above are the recommended parking lots for the event. The gold star is the building entrance to the 590 Moray building for the presentation. Ford recently unveiled their latest F150 model which highlights the Ford’s innovations in design and manufacturing. Within 4 weeks Ford revised their manufacturing line to build the new model. This included 500 robots and all new stamping and assembly equipment. 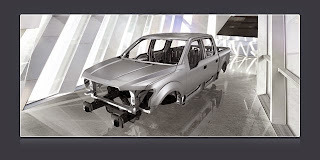 Ford also used new advances in extruding, hydroforming and stamping for the forming operations. 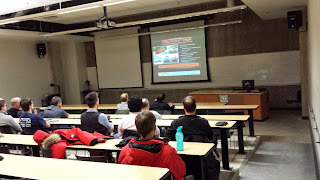 This event was a screening at the University of Manitoba of a presentation originally done for the SAE Detroit section. Ms. Kelli Goldstone is the Team Leader for the GRD and Critical Environments Applications Engineering groups. Her teams work with worldwide customers assisting in proper product selection, troubleshooting and training seminars. Many of these products are tested in the Price Research Center North to validate design and determine performance. In this presentation, Ms. Goldstone will provide a brief company outline and a preview of the Price Research Center North, which is integral to Price’s success. Parking is available in the main Price parking lot located along Raleigh Street. Visitor parking signs are visible, but all spots can be used as the office will be closed. The room is located on the lower floor, just left of the front entrance. A sign-in station will be available just outside the Training Room door. Advance registration is requested before April 21. 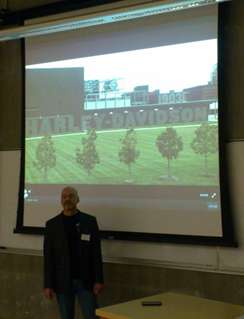 Harley-Davidson is the iconic motorcycle company started in 1903 and has a long history of innovation. They employ over 6400 employees with corporate headquarters in Milwaukee, Wisconsin. It is a global company with seven manufacturing plants in countries such as Brazil and India. They are a top seller in new markets such as young adults, women, African Americans and Hispanics. Harley-Davidson recently launched two new motorcycle models – Street and LiveWire. The Street is a new model meant for urban environments and young and new riders. It has a short wheel base, is nimble and easy to turn. It has a low, smooth, linear power. It was launched in two facilities at the same time – in Bawal, India and Kansas City, USA. The LiveWire is Harley-Davidson’s first electric motorcycle. Prototypes are currently touring through the USA. This model had a 30% decrease in the time to market versus other models. LiveWire had a focus on engineering and styling. Its frame boasts two ‘firsts’ for Harley-Davidson – it is cast aluminum and at only 14 pounds, it is the lightest frame they have ever built. Yet LiveWire maintains the look, sound and feel that are tenets for Harley-Davidson. It can go from 0-60 mph in less than 40 seconds. The event was a screening of a presentation originally done for the SAE Milwaukee chapter held at the University of Manitoba.